Camile Swap, a theology and guidance counselling student living in Trinidad,says she got this simple but delicious recipe from her grandparents and aunts. Pour water and milk in a pot and bring to boil. Drizzle cornmeal (through fingers) into the liquid, while constantly stirring. Add orange peel and stir. Reduce heat and cook until the mixture reaches your desired thickness. Flavour with nutmeg, vanilla and sugar. 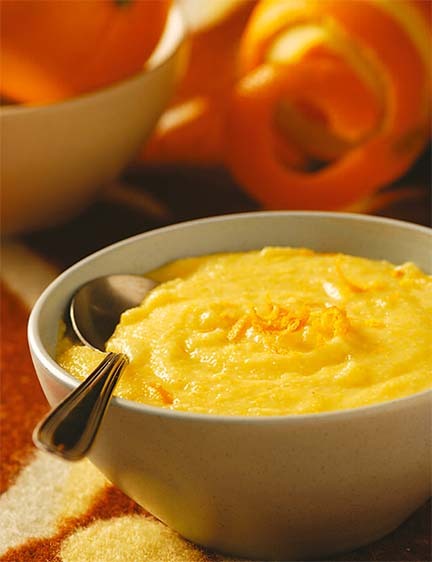 The older the orange peel, the better the flavour of the porridge.